Taipei, Sept. 24 (CNA) President Ma Ying-jeou on Friday describedthe result of a poll ranking Taiwan 72nd among 153 countries forcharitable behavior as "unfair, " saying it has transformed itselffrom an importer of love into an exporter of love. Ma wondered if the Charities Aid Foundation (CAF) -- aBritish-based charitable financial-services organization -- missedsomething in compiling its World Giving Index 2010, referring toTaiwan's sponsorship of children living in poverty around the world. He pointed out that people in Taiwan sponsor a total of 230,000poor children around the world through programs run by twoTaipei-based charity groups -- World Vision Taiwan and the TaiwanFund for Children and Families. "We have a population of 23 million people, and the 230,000persons accounted for 1 percent of the population. The percentage ishigh, " Ma said. He said the U.S., whose population stands at 300 million people,would have to sponsor 3 million poor foreign children to reach thesame level of charitable behavior as Taiwan's. The U.S., however, shared fifth place with Switzerland in theWorld Giving Index ranking published on Sept. 8, with Australia andNew Zealand topping the list. The methodology may had something to do with Taiwan's ranking,which was based on data collected by Gallup's WorldView World Poll inMarch 2010. The poll asked people in each of the target countries whetherthey had donated money to an organization, volunteered time to anorganization or helped a stranger in the past month. Giving money or time to an organization could include politicalparties or organizations as well as registered charities, communityorganizations, and places of worship, the foundation said. Each country's score was based on the average of their scores on"giving money," "giving time," and helping a stranger. Australia and New Zealand each had an average of 57 percent oftheir people engaging in the three charitable acts, while Taiwan hadan average of 31 percent. Some 37 percent of people surveyed in Taiwan had given money inthe previous month, 15 percent had given their time and 41 percenthad helped a stranger, the poll found. Taiwan ranked third in East Asia, behind Hong Kong (18th) andMongolia (67th), but ahead of South Korea (81st), Japan (119th) andChina (147th). Hong Kong's ranking was helped by the fact that 70 percent of itspeople had donated money in the previous month, tied for eighth inthe world with Australia. Its overall average was 44 percent, tiedwith Germany, Denmark and Guinea. Five countries in Southeast Asia -- Laos (11th), Myanmar (22nd),Thailand (25th), and Indonesia and the Philippines (tied for 50th) ,also finished ahead of Taiwan. President Ma talked about the survey during a meeting withrecipients of the 2010 Republic of China Medical Devotion Award athis office. He praised the award winners as individuals who represented thecore values of Taiwan's people -- integrity, goodness, diligence,honesty and tolerance. 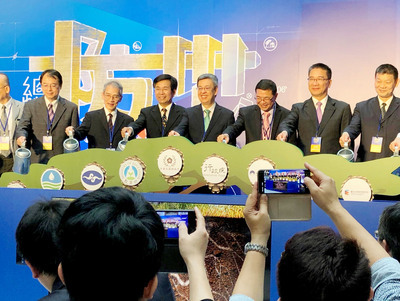 Eight individuals and organizations were awarded, including theTaiwan Foundation for Rare Disorders and 83-year-old medicalentomologist Lien Jih-ching, who was described by the president ashaving "spent more time researching mosquitoes than I have lived."